Attentive always to detail, we ensure that we offer the best of our resources along with the necessary innovation to meet current demand. 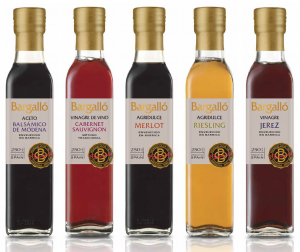 Olis bargalló was founded in 1850 with an extraordinary passion for the world of olives and oil. 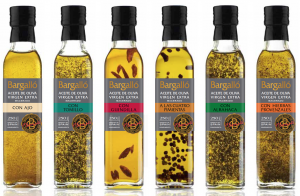 Since the very first pressing, olis bargalló has worked to offer the public the best oil on the market, with a unique and unforgettable flavour. Olis bargalló demonstrates its productive evolution by adapting to the needs of the both small and large gastronomy professionals and restaurants. Both our extra virgin olive oils and the other products we make are the result of a strict selection of the different varieties that form them and a meticulous study of the processes required in their creation. The utmost care is therefore applied throughout the process, from choosing the best olive crops to their preservation, always maintaining the best possible humidity and temperature to assure maximum quality, with the single aim of offering the customers the best extra virgin oil. With the fourth generation of the family at the forefront, the company has continued to evolve and seek new products adapted to the new times, without forgetting the quality that has distinguished them from the beginning. With the new product lines, olis bargalló aims to meet the needs of the gastronomy professionals and lovers of cuisine and to thus offer the best of gastronomic tradition coupled with innovation and contemporary imagination. The effort and dedication of all of the company’s professionals have therefore brought recognition to olis bargalló products in our country and beyond our frontiers, where they are considered one of the best extra virgin olive oils on the market thanks to their quality. We offer different formats for use in restaurants to cover the needs of all industrial kitchens while bearing in mind the product’s high quality, its content and its handling. We offer a selection of gourmet products that represent the maximum expression of the excellence of Olis Bargalló. They are the result of a careful selection of the best olives cultivated in some counties of Lerida, Tarragona and also of Huesca and Zaragoza, cold-pressed and made following the most ancient traditions. Descobreix el sabor fresc i delicat de les espècies fusionat amb el millor oli d’oliva verge extra. Les olives s’uneixen a l’aroma de les plantes , creant un oli ideal per a les nostres amanides, salses y verdures a la planxa. Deixa’t endur per aquesta fusió de sabor. Oferim una selecció de vinagres gourmet, que representen la màxima expressió de l’excel·lència d’Olis Bargalló. Són el resultat d’una cuidada selecció dels millors acetos, o fermentacions acètiques de vins, i elaborats segons les més antigues tradicions. Descobreix el sabor fresc i delicat del viagre de Xerès, o del Acet Balsàmic, o l’agredolç del vi de Riesling així com el de Cabernet Sauvignon, o de Merlot. Cadascún amb les seves particularitats, però amb l’equilibri de les millors característiques de grans vins, elaborats amb mètodes originals de mes de 150 anys.